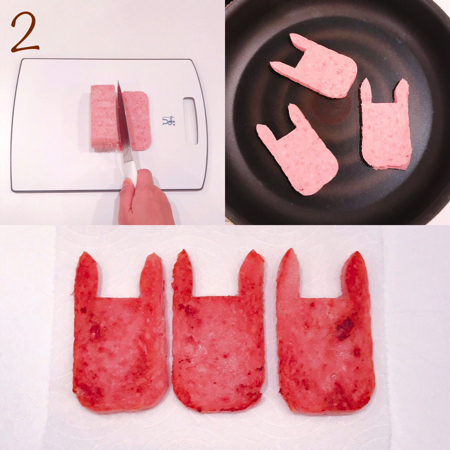 2：Slice the SPAM. 6 slices will be used in this recipe. Cut out the SPAM to make it look like it has ears and grill it. ☆Place the slices on top of a kitchen paper to extract the oil. 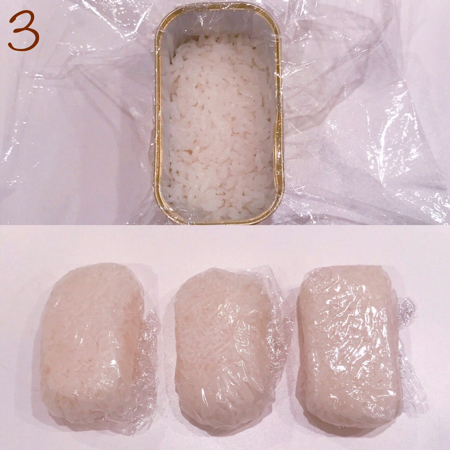 3：Wash the SPAM can and place some plastic wrap inside the can so it fits tight. Fill the can with rice. Leave the rice until it gets cold. 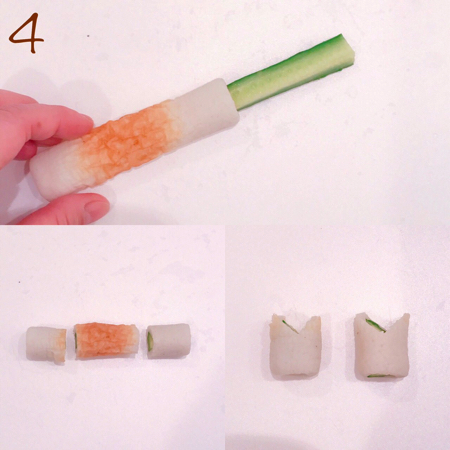 4：Insert a cut cucumber into the chikuwa and cut off the white parts of both sides as shown in the photo. Cut the tip of the chikuwa as shown in the photo above. 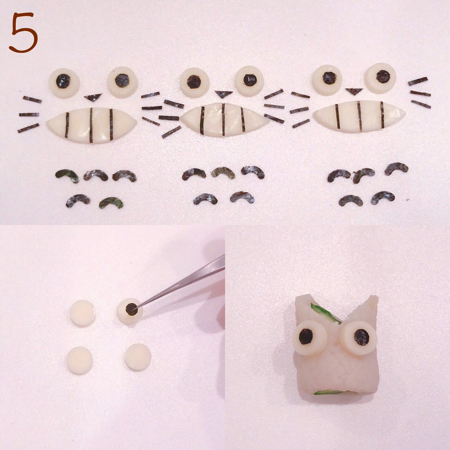 5：Place the cut seaweed on top of circular-shaped cheese and then place it on top of the chikuwa to make a small Totoro. Place this on top of the meat ball to make Makkuro Kurosuke. 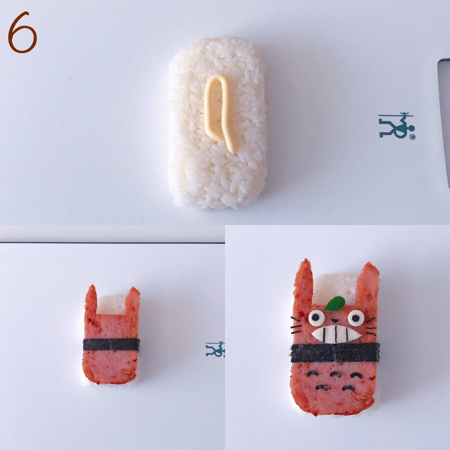 Place seaweed and cheese as shown in the photo above to make Totoro. 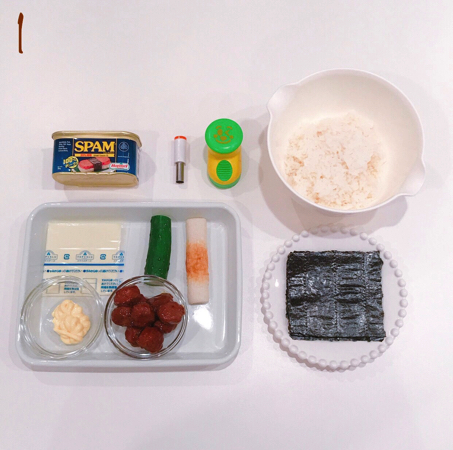 6：Put mayonnaise and then the SPAM on top of the rice and wrap the whole ingredients with seaweed. 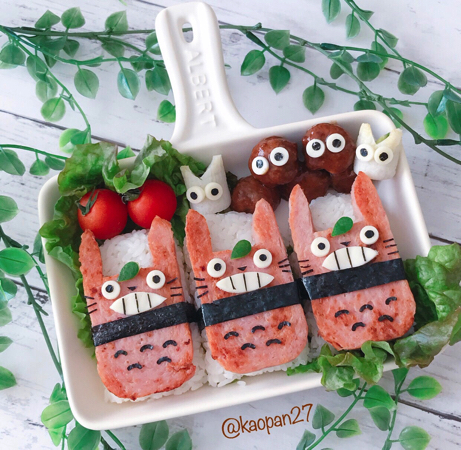 Place cut seaweed and cheese on top of the ingredients to make Totoro. It is recommended that you cut the leftover cucumbers into the shape of leaves and place them on top of Totoro. I am sure that even for those of you who are not familiar of making “chara ben,” you will be able to make this recipe easily!